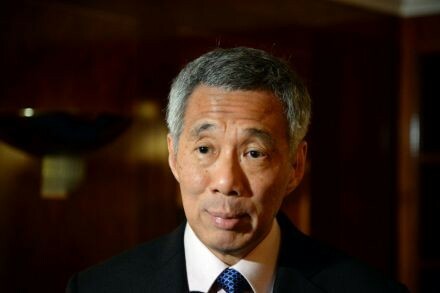 DESCRIBING Germany's brand of vocational training as a "very unique" model in the world, Prime Minister Lee Hsien Loong said he believed Singapore could learn a thing or two from the Germans in the area of boosting the skills of the workforce. The culture in Germany is one where workers, after completing an apprenticeship with a firm, expect to stay with that particular company for a long time; they do "not go and wander off straightaway because somebody else is paying them another five or 10 per cent more", he said in an interview with Süddeutsche Zeitung, a major daily newspaper in Munich. "We do not have such a culture in Singapore. We are trying to move in that direction and get employers more engaged in the training of the people, even in the institutions, and have internships and immersions when a person graduates," he said. Singapore is making some progress in these areas, he added, but it will take years to get to where it needs to be. The German model of vocational training, which he noted is not completely exportable because it is also cultural, needed many decades to take root. Earlier in the week, when he was in the eastern German city of Dresden, Mr Lee spoke of Singapore's keen interest in Germany's approach towards technical education; the system has apprenticeship schemes, through which students get valuable hands-on experience working in different companies. "We have SkillsFuture, (and are) talking about how we can open up these paths for our people, to develop themselves as they progress in their careers, as they gain experience in their actual jobs. I think there is much to learn from the German experience," he said on Monday. The recently launched SkillsFuture movement aims to provide opportunities for every citizen to develop themselves throughout life. It will promote skills mastery in every job and for all Singaporeans, regardless of their academic qualifications or grades. "The main thing is you want the training and education to be relevant, to be targeted and also to be sustained as the person goes into the workforce, because you are trained once, but you are going to work for 40 years and you need many new skills along the way," he said in the interview with Süddeutsche Zeitung. The interview, conducted during his four-day official visit to Germany which ended on Wednesday, covered a range of issues ranging from Singapore's immigration and integration policies to China's growing influence in Asia. With Singapore and Germany are celebrating 50 years of diplomatic relations this year, Mr Lee said he hoped to see both countries work more closely together to improve ties further. On the economic cooperation front, he pointed out that even though 1,400 German companies were already present in Singapore, the degree of their involvement could be much deeper. "Well, you have to watch that part of it, but from a long-term strategic point of view, you do want to be in the Far East. You cannot afford not to be there. In China, you are there, but I think there are many opportunities in the rest of Asia too."